The 2018 Jeep Compass is a powerful vehicle that can go from crowded highways to rocky terrain, taking you places others only dream of going. With the 2.4L MultiAir 2 engine delivering up to 180 horsepower and 175 pound-feet of torque, there’s nothing stopping you from embarking on the road trip of a lifetime. When looking for a true American-made vehicle, there’s nothing like a Jeep to take you anywhere you want to go, whether on-road or off-road. If you’re in search of a 2018 Jeep Compass near Longmont CO, look no further than Pollard Jeep for your Longmont area dealer. Being one of two Jeep-only dealerships in the United States, they will make sure you get the vehicle you’re looking for. The 2018 Jeep Compass is one of many exceptional Jeeps available here. With a huge selection of vehicles in stock and multiple trim levels available, you’ll be sure to find the car of your dreams. The 2018 Jeep Compass 2.4L MultiAir I4 engine offers breakthrough features such as Dual Variable Valve Timing (VVT) and a flow-control valve intake manifold, increasing performance and ensuring a smooth ride. While rugged on the outside, the cabin will have you set up for a relaxing, comfortable, experience inside, offering a 5-Inch Touchscreen with Connect, ParkView Rear Back Up Camera, Power Windows, Remote Keyless Entry, and Push Button Start. The Sport offers everything you look for in a Jeep while staying within a price range that best suits your needs. You can stick to your budget while getting all of the features you want and more! When you’re looking for added safety on your day to day commute or while driving in bad weather, Latitude is an exceptional option. Even the best driver is bound to encounter a distracted motorist at some point during their journey, and with features like blind spot and cross path detection, lane departure warning, and rear view auto dim mirror, you can rest assured that you will arrive at your destination safely. With a Black Rub Strip/Fascia Accent, your vehicle will make a bold statement, boasting a sporty appearance and with a stylish flair. With the next level, as the name suggests, the Limited offers unmatched luxury, comfort, and sophistication. Starring chrome side window trim and chrome rear window trim, a Beats premium audio system, and GPS Navigation, this is a vehicle that you’ll never want to let go of. Going with the Limited ensures that every single detail of your ride has been thought of, even down to illuminated front cupholders. This is the power-packed machine for you if you’re looking for more than just transportation. This is the Jeep you drive when you want it to take your breath away. When you’re looking for a 2018 Jeep Compass near Longmont CO, there can be a lot of factors to consider, but going to Pollard Jeep for your Longmont area dealer is one of the best decisions you can make. They will do everything to ensure you drive off the lot in the vehicle of your dreams after having an unbeatable customer service experience. Making sure you get the perfect automobile for the right price is their passion, and they will work tirelessly to guarantee you get everything you want. They know you have high standards when buying from them, and they make it their mission to not just meet, but exceed your expectations. Shopping with them is one choice you’ll be glad you made. 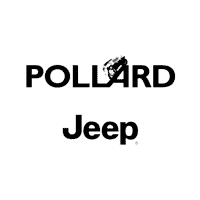 If you want to learn more, contact Pollard Jeep for all trim levels and vehicle information.